Normally when you get tipped off to update rumors, you tend to turn the other way as to not get too excited over something that is likely about 5% true, but when you get it from multiple people in just a short amount of time, you start diggin’ deeper. As we all know now, last week’s set of 1,000 test updates did not go so well, but we’re hearing now that it was worse than originally thought. In fact, our source claims that almost 75% of those sent out actually bricked the phones. Also, the reason that none of us actually know anyone in that test group, was simply because they tested it on VZW employees only. This week, all signs point to Big Red attacking again with another 1,000 updates starting Wednesday (3/24). If all goes well, they will roll out the 200,000 per day batches on Friday and for the next few days after until finished. Kell B: Hey Leandro! Just wondering if I’ll be receiving the Android 2.1 update on my Droid this Wednesday or Friday? 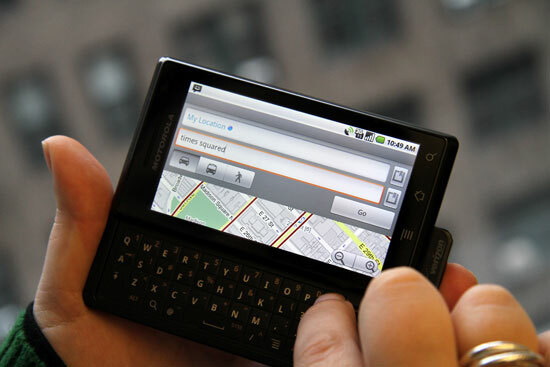 Leandro P.: The Android 2.1 upgrade for Droid by Motorola is being deployed to a small number of Verizon Wireless test users. It is expected that the broader phased rollout to all Droid users will begin shortly thereafter. But we do not know when you will be receiving the update. Kell B: So this Wednesday it will go out to a small number? Leandro P.: Yes, it will not be sent to all of the users at once. Kell B: Thats good to know. I hope this test goes better than last week’s! Leandro P.: We all hope so. So does this mean we let Bitfone off the hook now? If it’s bricking phones, does that mean they are attempting to mess with the bootloader which would mean no more rooting? Interesting stuff for sure.